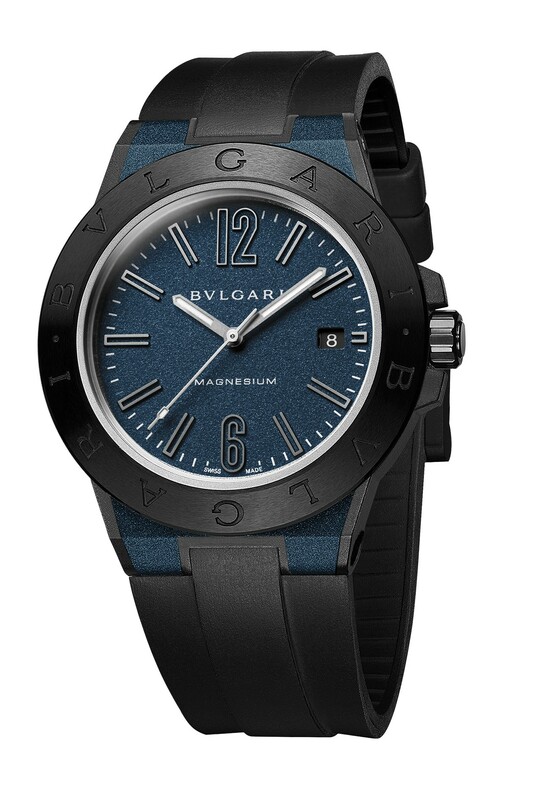 Bulgari, the luxury Italian brand, has announced that it is preparing to launch the Diagono Magnesium, a new timepiece as part of its line-up for the year. 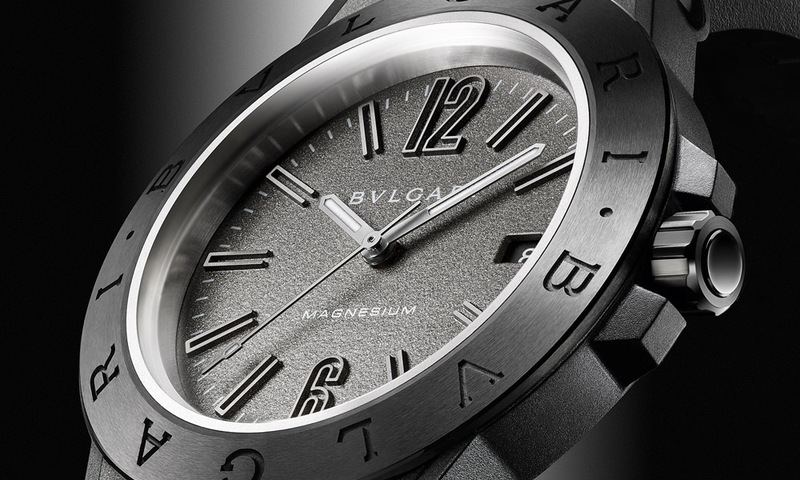 The 41 mm diameter watch, presented in steel, boasts a middle case made from Magnesium and PEEK (polymer) and a ceramic bezel engraved with a double Bulgari logo. In addition to a crown made from steel PVD with a black ceramic lozenge, the Diagono Magnesium also benefits from innovative touches including the use of “Motorlac”. 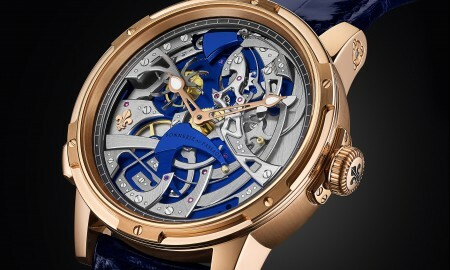 It will house a mechanical self-winding movement that beats at a frequency of 28,800 vibrations per hour (4 Hz) and has a minimum power reserve of approximately 42 hours. 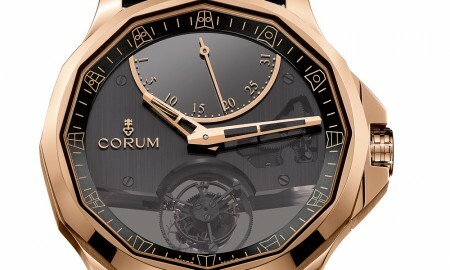 Four different models of the watch will be available upon its release. 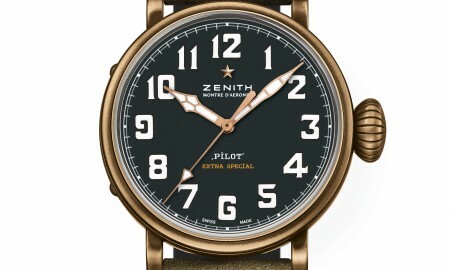 The first, in copper brown lacquer, will be complemented by Super-LumiNova enhanced black hands and hour markers. The second and third will be presented in anthracite grey and deep blue lacquer, respectively, and will feature rhodium hands and hour markers. Finally, the last will be a silver grey-lacquered variation with black hands and hour markers. The firm had previously announced that they would introduce the E-Magnesium, a new take on connected smart watches, which they developed as part of their partnership with WISeKey. 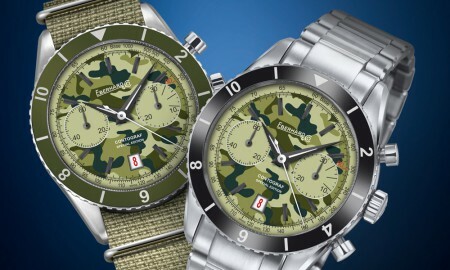 Each timepiece is supplied on a vulcanised rubber strap with PEEK pin buckle, it has been confirmed by the manufacturer.